Dark Horse fire out of the starters gate with their March 2012 solicitations. Created by the usual anf the not so usual idie comic throughbreds, of the monthly listings, these four covers are paying the most for a place. 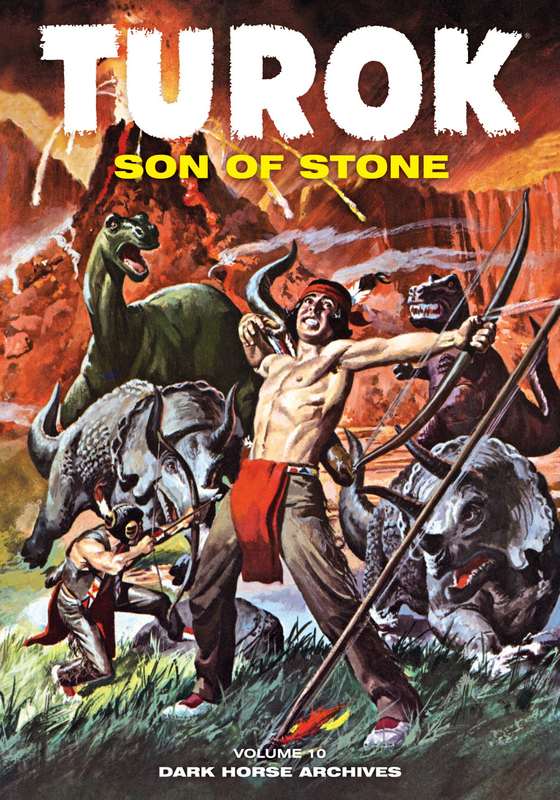 COVER OF THE MONTH: TUROK SON OF STONE ARCHIVES Vol10 Turok, Kamandi, Doc Savage, Ka-Zar, I'm a huge sucker for pure pulp adventure. Turok, chief among those. It has the potential to be a massive mainstream franchise, but remains one of comics great hidden treasures. This cover will cause more people to realise just that. DARK HORSE Say: Turok and Andar find themselves in a never-ending string of dangerous situations as they struggle to escape the lost valley that traps them. Pursued by maddened beasts, surrounded by sea honkers, threatened by a volcanic eruption, or fighting for their lives in a dead city, the braves never give up hope of one day finding a way out of the strange and perilous land! Artist Alberto Giolitti, writer Paul S. Newman. CLOSE CONTENDERS: Mike Mignola - B.P.R.D. Hell On Earth: The Pickens County Horror #2, Richard Corben - Ragemoor #1 and Brian Wood - Channel Zero TP! For more from Dark Horse, click the jump.